Welcome to Part 3 of our Beginner’s Guide series. In this section, we’ll be covering all you need to know about The Orbiter, or the spaceship you travel in. The Orbiter acts as your hub of operations in Warframe, so you’ll want to get familiar with it and most of the segments that reside inside it. After you finish your very first mission during the Vor’s Prize quest, you’ll be sent to the Orbiter. However, it will be incomplete and you’ll be required to continue through the Vor’s Prize quest to obtain each missing segment. In this section of our Beginner’s Guide, we’ll briefly cover the key segments in the Orbiter. The first segment of the Orbiter you’ll be introduced to is the Arsenal and it’s by far the most important segment. 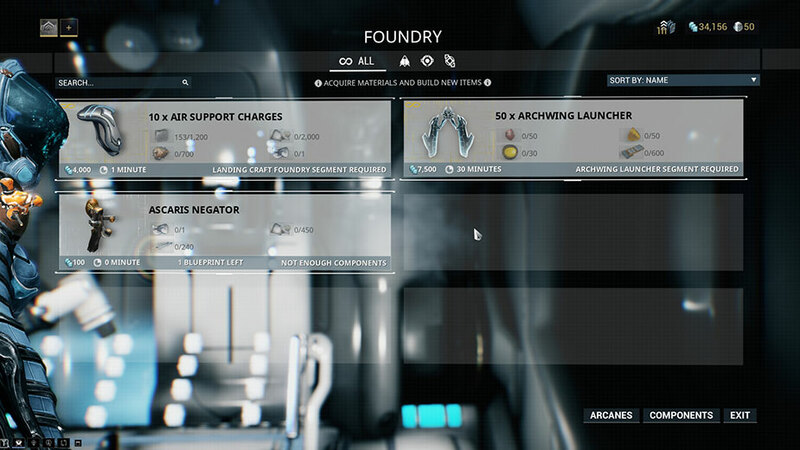 Here you can change both your currently equipped Warframe and weapons. When you first come to the Arsenal, there won’t be an option to upgrade your Warframe / Weapons as you won’t have any “mods” yet. However, as you progress through the “Vor’s Prize” quest, you’ll begin to acquire mods which you can equip in the Arsenal to increase the overall strength of your Warframe and weapons. When you first visit the Orbiter, there won’t be much you can do at the Arsenal since you’ll have no mods and only one potential loadout (the weapons and Warframe you chose during the tutorial). However, as you progress through the game, you’ll be coming back to the Arsenal often as you might find certain Warframes, weapons or modding configurations to be better for certain missions. We’ll be discussing modding in more detail in Part 9, so don’t stress if you are a bit lost right now! 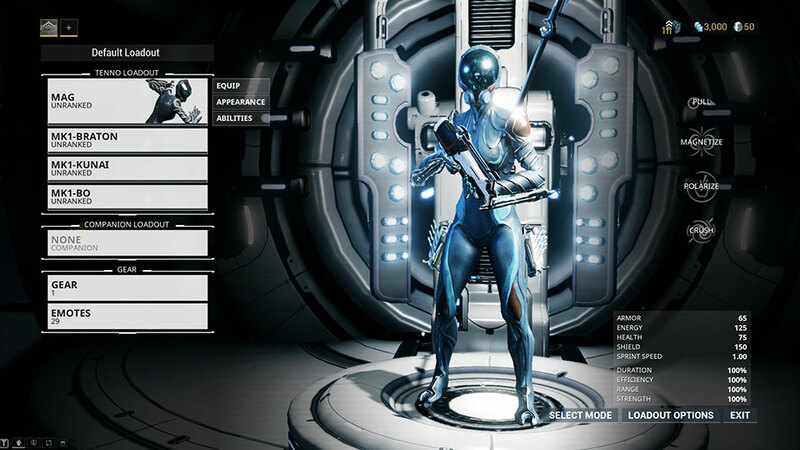 There are other features in the Arsenal that you’ll explore later in the game, like modifying your Archwing loadout (introduced later on) or currently equiped Gear (items you can use during missions). However, you shouldn’t worry about that right now. The most important aspect of the Arsenal to understand when you first start playing is that this is where you can change your loadout. You’ll get very familiar with this segment as you become more experienced with the game. The second segment of the Orbiter that you’ll recover is the Market which you’ll use frequently throughout your time in Warframe. First, it’s important to understand that the Market segment in your Orbiter is NOT a market between players. 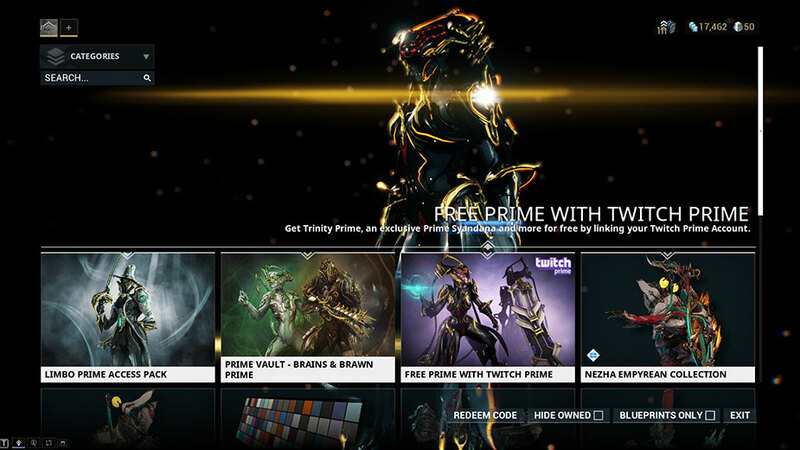 Instead, the Market is an in-game shop where you can buy Warframes, weapons, blueprints, cosmetics and much more with one of the game’s two currencies: Credits or Platinum. Credits are awarded at completion of a mission and can also be found in smaller quantities as drops during missions. Platinum can only be acquired by purchasing it directly for real world money or by selling in-game items to other players for Platinum. When you first start playing, you should only concern yourself with purchasing items for Credits as you will earn these by playing the game normally. 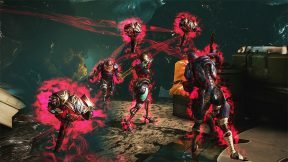 All Warframes, weapons and companions can be obtained using Credits. However, Credits will only allow you to purchase the blueprint of most items. This means you’ll have to craft the item with the Foundry using resources obtained in-game (we’ll discuss this more in the Foundry section). Platinum allows you to purchase most items fully completed, without the need of in-game resources or having to wait for the item to build in the Foundry. In other words, Platinum allows you to skip your game progression forward. For this reason, Warframe is called “pay-to-skip” rather than “pay-to-win” as any F2P players can obtain the same items as a P2P player with enough time played. In our experience, it’s best to craft or find most Warframes or weapons yourself as the game is more enjoyable this way. Platinum has other uses which we find far more suitable for most players which we’ll discuss in Part 4 of our Beginner’s Guide. In the Market, there are a few weapons you can purchase fully completed (no Foundry crafting) for Credits. Notably, you can buy all the “normal” versions of the starter MK1 weapons you saw during the tutorial quest. These are much better than the MK1 weapons so it’s worth upgrading when you have enough credits. You can find these weapons by going to the Weapons section of the Market. The next segment of your Orbiter that you’ll recover is the modding segment. At this point, you’re probably starting to develop a headache since this screen can be pretty intimidating. Before you blow a gasket, we think Modding is a lot easier to understand if you relate it to something you’re already familiar with. 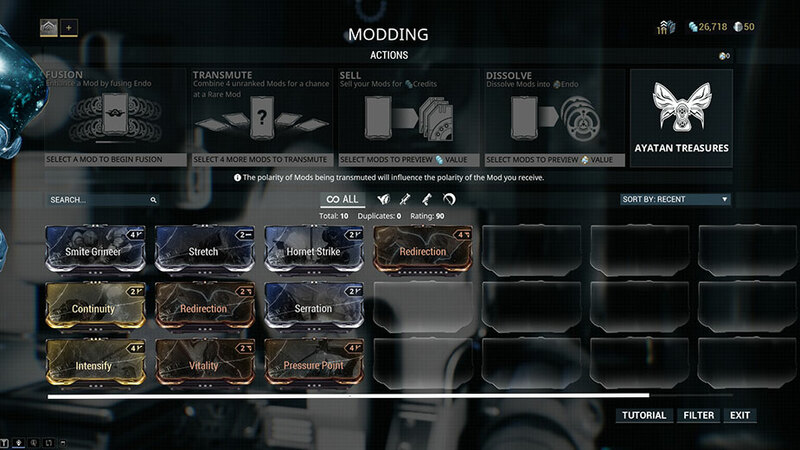 In the simplest terms, “Mods” are simply upgrades that you can “attach” to your Warframes and weapons. As you level up your Warframe and weapons, you’ll have more space for equipping powerful mods. For example, the “Vitality” mod will increase your Warframe’s total health. You can upgrade these Mods using a currency called “Endo,” which will enhance their effect. A normal “Vitality” mod that isn’t upgraded will provide +40% health, but a fully upgraded “Vitality” mod will provide +440% health. We’re going to leave our explanation there since we have a full section of this Beginner’s Guide dedicated to Modding which we recommend you check out if you’re curious. For now, understand that Modding is effectively the “RPG” progression element of Warframe: A fully modded weapon can be literally over a hundred times stronger than its unmodded counterpart. The final segment of your Orbiter that is shown to you as part of the tutorial quest is the Foundry. Here you will be able to forge items from your blueprints. In order to do so, you’ll require the appropriate amount of resources and Credits (discussed in Part 4) which are listed on the blueprint. Once you have the pre-requisite materials, you can start forging which will take a certain amount of time. The time required for any item is specified on its blueprint and in the Foundry. For example, the 10 x Air Support Charge item shown in the picture above would take 1 minute to craft. This time will pass regardless of whether or not you are logged in. Warframes take 72 hours to build while most weapons take either 12 or 24 hours. While this may seem like a long time, you’ll eventually reach a rhythm in the game where you have items crafting most of the time so you’ll have something completing almost every time you login. 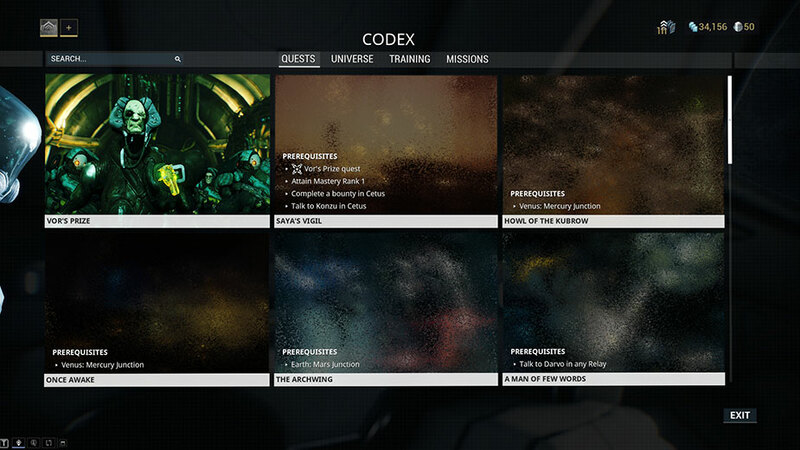 The Codex is a special place in your Orbiter which effectively behaves as a game database. 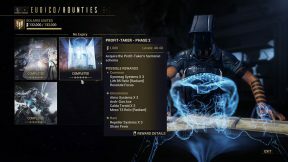 In the Codex, you can view details about almost any aspect of Warframe whether it be Warframes, weapons, companions, Relics, mission types, how to play the game and much more. In most cases, it’s easier to learn from online resources such as (hopefully) this site or the Warframe wikia, but the Codex can be useful in a pinch. Most of the time you’ll be using the Codex to set your current active quest and see the prerequisites required for quests you want to unlock. There are other components in the back of your ship which we won’t be discussing here as you will gain access to them much later in the game. The segments mentioned above are where you will spend the majority of your time in the Orbiter. In the next part of our Beginner’s Guide, we’ll take a deeper look into the game’s two primary currencies as well as expand on what resources are and where you can find them.